The Legend of Zelda: Ocarina of Time 3D brings a completely re-mastered version of an epic entry in the beloved The Legend of Zelda game series to Nintendo's newest hand-held system, Nintendo 3DS. 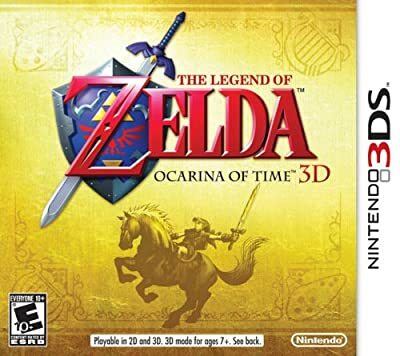 The game couples phenomenally enhanced graphics with stunning, glasses-free 3D visuals to bring to life the daring adventures of its hero, Link. The game also features new challenges not included in the original.